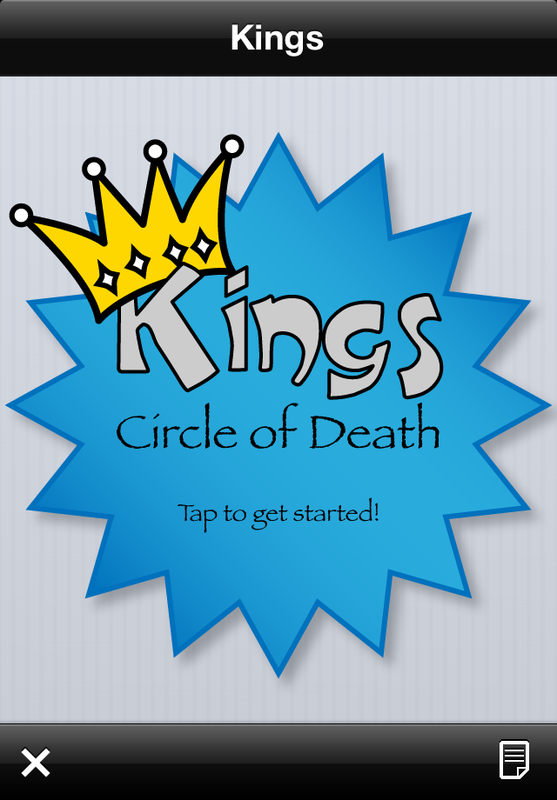 Kings Cup, Four Kings, King of Beers, Circle of Death, Ring of Fire, there are many names for this classic drinking game that we all know and love. 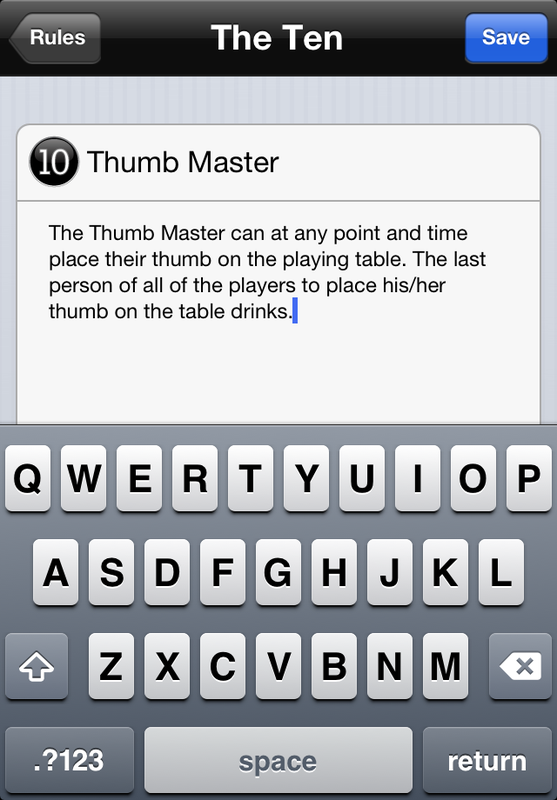 And here it is now ready for action on your iPhone or iTouch! 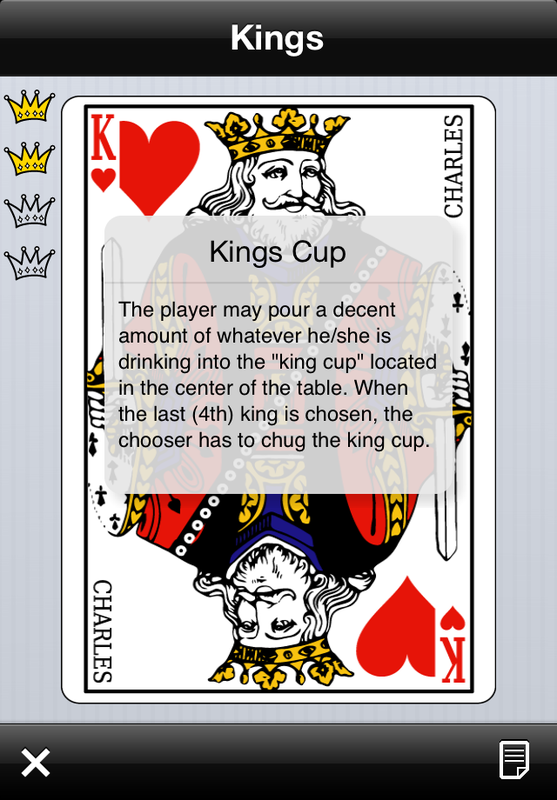 The game goes around the table with each player drawing one card at a time from the virtual deck. Each card has a different action associated with it that the player has to carry out. Typical rules all predefined and ready to go out of the box - and of course all easily customized to your personal favorites. If you have an issue or questions please contact us on our support email arcanumcode@gmail.com. If you have any feature requests we would also love to hear about it and will do our best to include them in a future update.